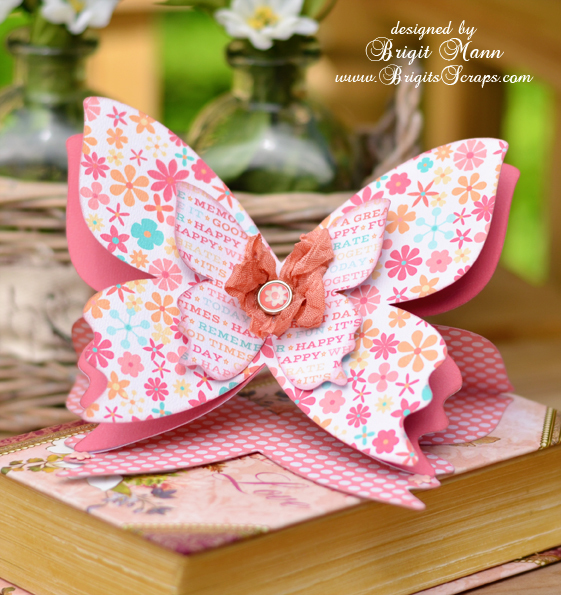 This butterfly easel card is one of the new files Lori Whitlock has in her shop today, it's such a pretty easel card. The digital paper I used Happy Day is also by Lori. There's a hole in the center to hold the butterfly together with a brad and also two on the base to help it stand up. Absolutely beautiful. Love the colors and patterns. Faux Stitching in Silhouette Studio! Lori Whitlock Silhouette Potrait Giveaway! Fruity Fiesta, SVGCuts New Kit!